Today was unseasonably warm, even in this warmest of winters on record. Temps were projected to hit the high-60s in mid-afternoon, so I planned accordingly and started in on the mountain of laundry from my recent travels. What a gift to be able to hang out laundry on a sunny winter day. The warm, sunny morning reminded me of spring, which reminded me of baseball, which reminded me of an annual pilgrimage I make each spring with my daughter Phoebe. We go to Florida to see our beloved Pittsburgh Pirates in spring training in Bradenton, Florida. Phoebe goes to college in Maine, so, when her spring break coincides with spring training games in Florida, we pinkie-swear to each other that we're going. This year we're taking Phoebe's "little" brother Liam (who at six feet tall now towers over Phoebe). Liam wants to go to spring training because Phoebe will be there. Not so much because he's a baseball fanatic on the level of his sister and his dad. That's OK. We'll have a good time. I booked the tickets, which for me is a true sign of spring. 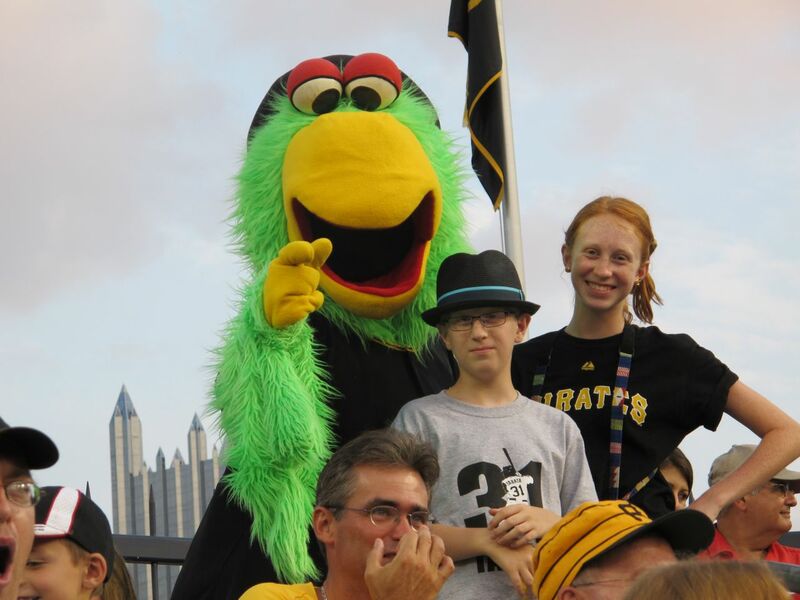 We've been going to Pirates' games for years now. After noon passed and the day just kept getting more and more beautiful I could not stay inside any longer, so I suited up for a hike. We had two feet of dry, powdery snow fall a bit more than a week ago. Lots of it still lingers in the places where the direct sun doesn't fall. The snow outside the back door was strewn with birch seeds, broken apart from their tiny-cigar-shaped clusters by wind and birds I assume. It looked like an overzealous waiter had run around the yard with a pepper grinder. Out the orchard path I went, headed straight West as if commanded, though I am no longer a "young man." Out in the orchard are some places I like to visit. The skeletal remnants of our last sweat lodge, made from saplings and grapevines and the attendant fire circle are there. Some squat poplar logs, used for seats (too punky to burn) and a pile of future bonfire wood are there, too. Off to the left is the spot where my dad is buried. He died five years ago this week and I still miss him so much. I like to come out here and sit on the bench near his grave and talk to him about what's going on. These places are touchstones on my renewal loop which I try to walk as often as possible. The sudden warm temps and re-freezing night had done amazing things to the tracks of deer—rendering them the size of sasquatch prints. Or, as the ultra-hick reality show guys from West Virginia, would say, "Them's the prints of the Ahhiya grassman!" It's hard not to yank out the phone to take a photo every 30 seconds/30 steps when the landscape is half covered in snow and drowning in sunlight. I must remind myself to be in the moment and let the phone stay put in the pocket. The nuthatches and titmice were tuning up. I could see pair of them flitting through the sumac and honeysuckle tangles. Pileated woodpecker drum circles let their presence be known from deep in the woods. It's the leading edge of spring. Won't be long now before the nesting season begins. I scanned the patches of grass for woodcock chalk—droppings left behind by a foraging timberdoodle. Might be last year's nest, but all the boxes showed signs of use by roosting birds. The sky sang a spring song too, with high wispy clouds. I could tell, however, that without a gray blanket of clouds above, tonight would be quite chilly. I've got a busy slate of travel coming up over the next few months, so it was sweet to reconnect with these acres we call home by walking along its slushy, slippery paths. o smell of spring on the air quite yet. When that happens, I know that we've chased winter for good for another loop around the sun. What a great day. If all winter days were like this, I bet fewer people would get the winter blues and blahs. Thanks for coming along. Let's do it again.